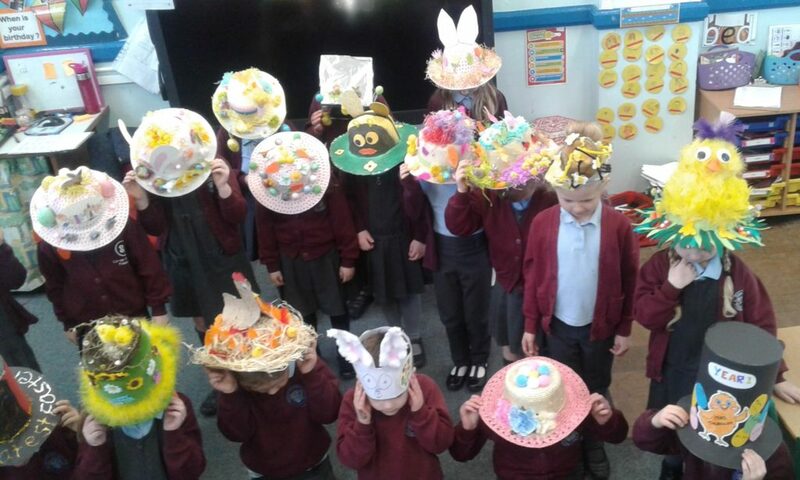 As it was last day before the Easter holidays, we had a day filled with Easter themed fun! 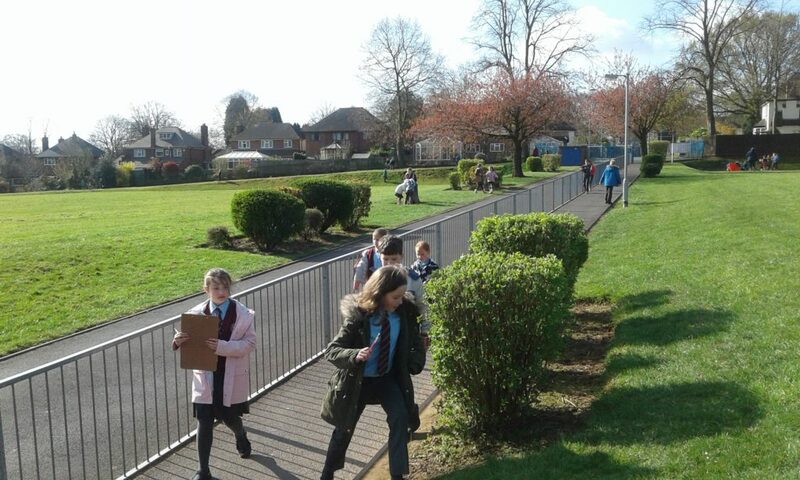 It started with our annual Easter egg hunt, the whole school went in search of clues that were hidden all around the grounds. 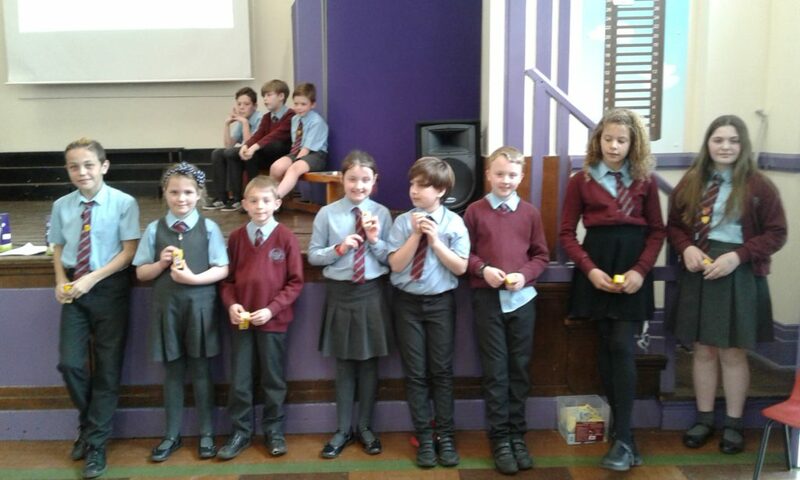 Our Key Stage 2 children had an egg throwing competition – all boiled! 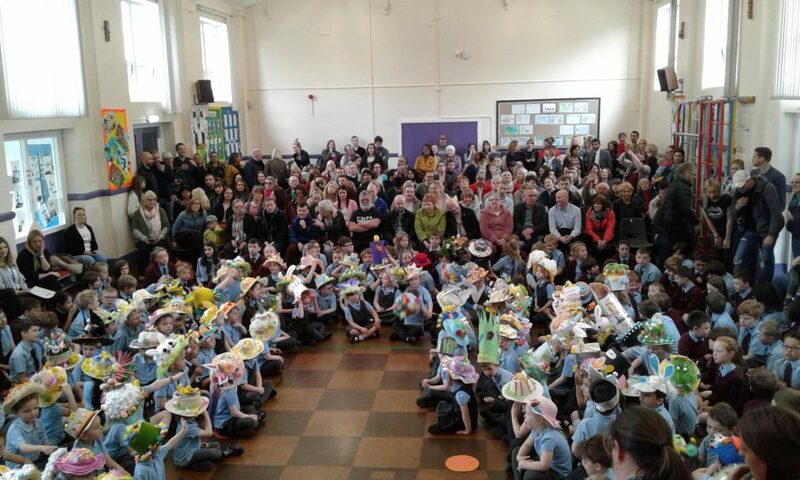 Then there was the impossible task of judging the Easter bonnets and decorated eggs competition. They were all so amazing and very creative, we have been really impressed, well done to all of our talented pupils. 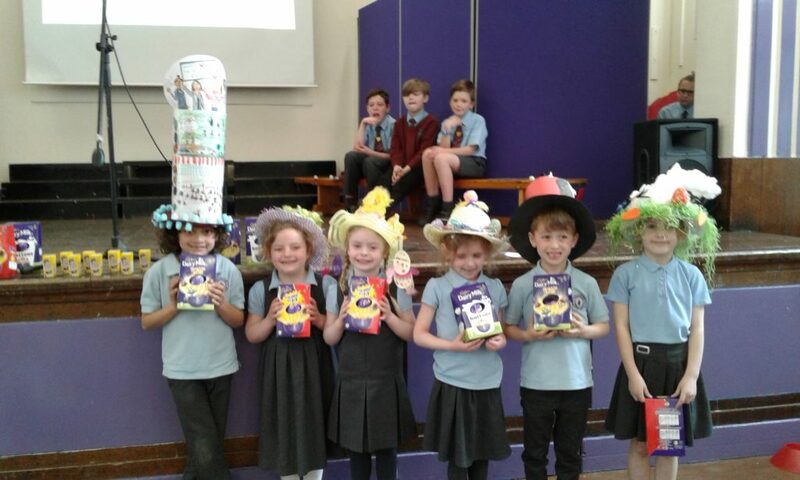 In the afternoon we had our Easter service, a chance for parents to join us to see our Easter bonnet parade, sing along with us all and to see who won the competitions for the bonnets, decorated eggs and best thrower. 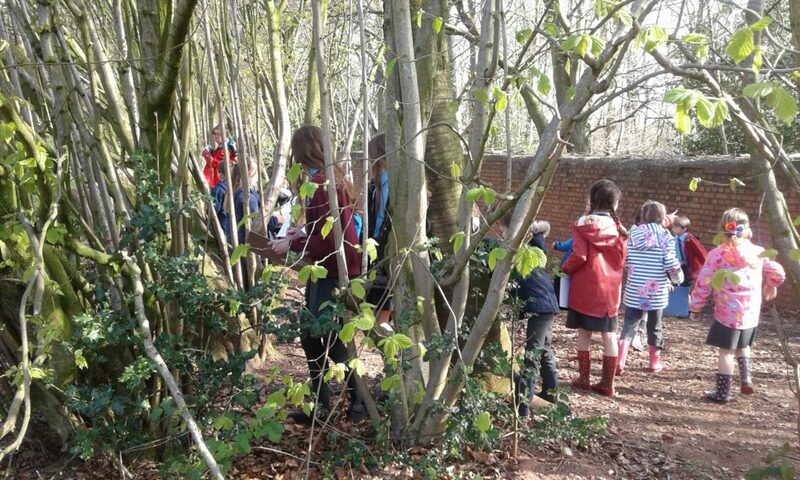 We were amazed to see so many faces join us today, thank you. 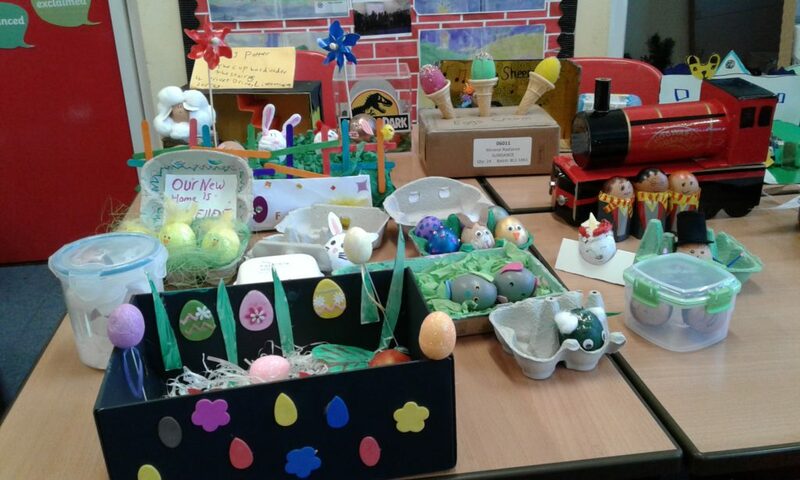 difficult decision for the judges but in the end some winners were found. and the Chocolate Factory – A huge purple Violet with some Umpa Lumpas. 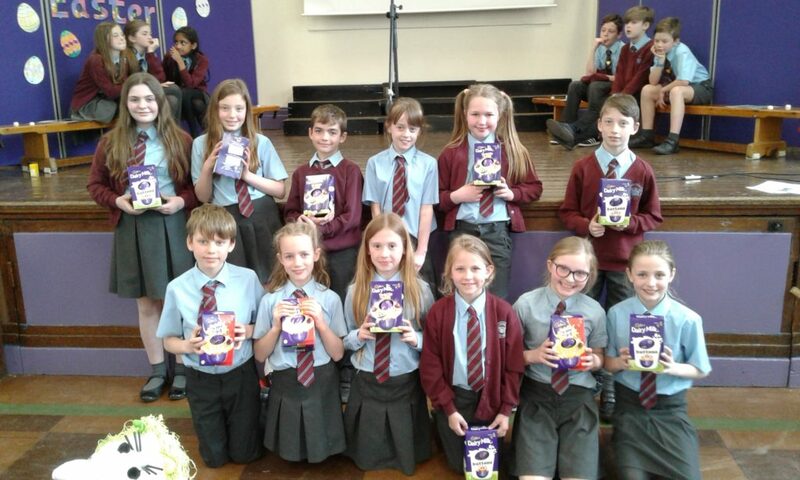 Well done to everyone who took part today. 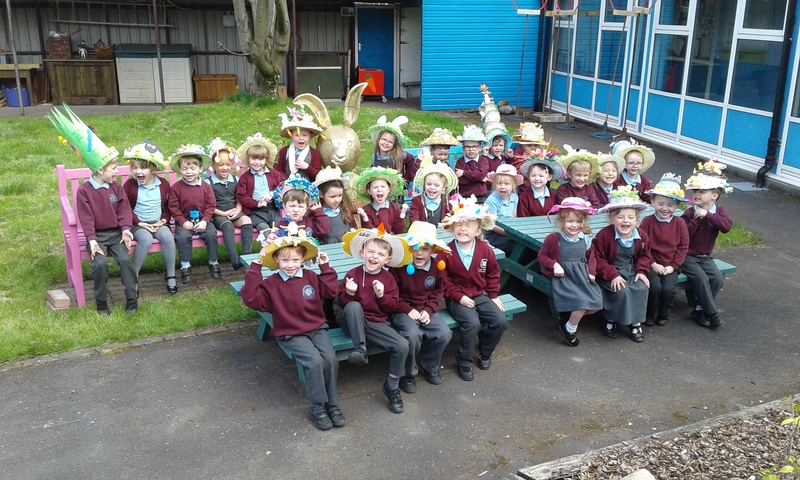 We wish you all a great Easter break, enjoy!